Nicholas Brady (Jonathan Scarfe) is a record store clerk living in Berkeley, California with his wife Rachel (Katheryn Winnick) and has a friend named Phil (Shea Wigham) who is a science fiction writer. It is 1985, but the world is not the same as the one we are familiar with. Mark Chapman shot Mick Jagger instead of John Lennon, all three Kennedy brothers were killed and President Fremont (Scott Wilson) has been in power since 1970. Running on a strong anti-communist platform he has supposedly maintained his popularity and the Cold War has ended at this point. Russia is now an ally. 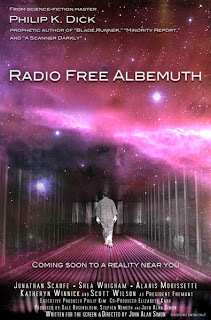 However, Fremont continually uses his emergency powers to slowly take away the freedom of U.S. citizens under the guise of fighting a terrorist organization called Aramchek which is supposedly made of hard-line Soviet government officials who refuse to give up. Prior to the events in The Hobbit: An Unexpected Journey, Thorin (Richard Armitage) is researching rumors that his father Thrain (Michael Mizrahi) may still be alive, although everyone believes he was killed by Azog the Defiler (Manu Bennett) during the Battle of Moriah. 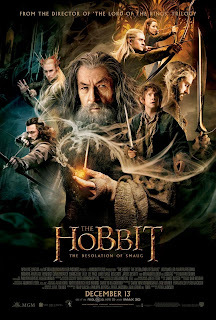 While in Bree Thorin enters the Prancing Pony, followed closely by two obvious assassins who back off only after the arrival of Gandalf (Ian McKellan), who convinces Thorin to give up the search for Thrain and instead reclaim his ancestral home in Mount Erebor, triggering the events from the first film. Dr. Henry Jekyll (Paul Massie) is a scientist attempting to understand the animal nature of man. He is obsessive in his research to the point that he completely ignores his wife Kitty (Dawn Addams), but that doesn't matter to her as she has fallen in love with his gambling addicted and philandering friend Paul Allen (Christopher Lee). Jekyll, of course, knows nothing of this. However, once he uses his serum on himself and turns into Edward Hyde, he finds out what his wife has been up to. He befriends Paul and attempts to win Kitty for himself, as well as court dancer and prostitute Maria (Norma Maria). Hyde, as usual, has no moral base and is more than willing to kill and scheme for whatever he wants. 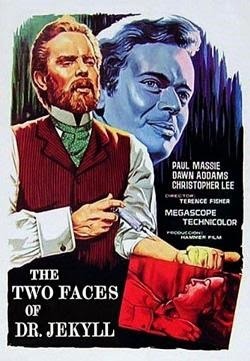 Dr. Jekyll tries to suppress him, but Hyde becomes the dominant personality, to the point that Jekyll fades into little more than a memory - one that can conveniently be blamed for Hyde's crimes. Captain Nolan (Richard Harris) becomes interested in capturing an orca after he sees one attack a great white shark he was hunting. He plans on selling it to an aquarium. Marine biologist Rachel Bedford (Charlotte Rampling) tries to discourage him, but he goes ahead anyway and botches everything. Not only does he fail to get the male orca he was aiming at (nicking its tail in the process), but it manages to kill both its mate and the baby she is carrying. 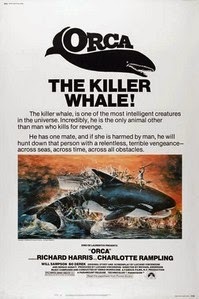 The orca kills one of his crew in revenge and marks him for death. Not believing that a whale (well, dolphin really) is intelligent enough to plot revenge, he refuses to believe the signs even after boats in the Newfoundland harbor in which he is docked are attacked. Al Swain (Scott Walker), the head of the local fisherman's union, is a bit more upset because of the losses and the interference with fishing. Also, Umilak (Will Sampson), a Native American whose tribe is from the area, says that this has happened in the past.